Resident since February 14, 2016. Paula is a tiny, friendly nakie. 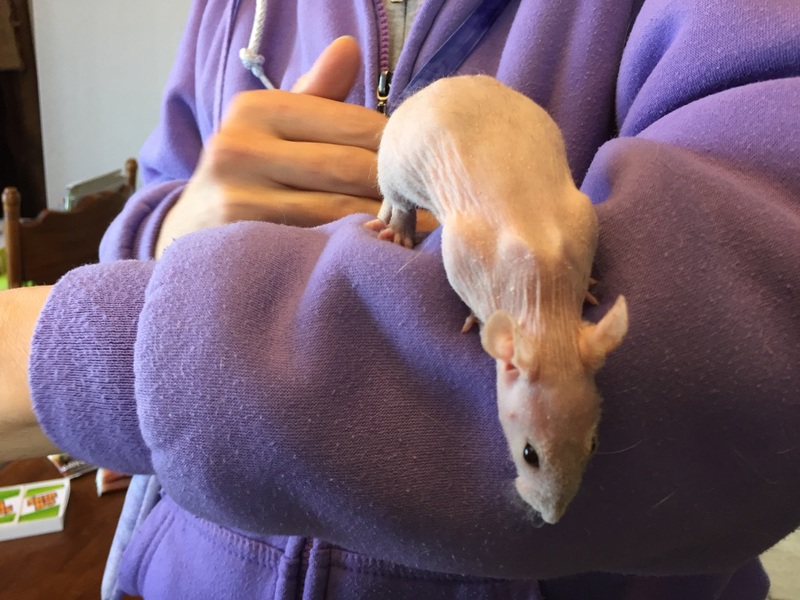 She's actually pretty tolerant of petting, something we've not really experienced with our previous hairless rats. Paula got a pretty nasty puncture wound a very short time after we got her but except for a small bump she seems to be all better.